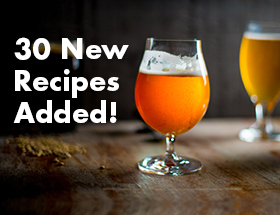 This recipe earned gold at the 2011 Great American Beer Festival Pro-Am Competition. 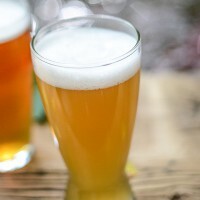 Homebrewer, Tom Gardner, won Best in Show at the Keg Ran Out Club’s (KROC) annual competition with his classic American pilsner, “Melissa’s Favorite,” named for his wife. Gardner teamed up with Colorado brewer, Dennis O’Harrow of C.B. 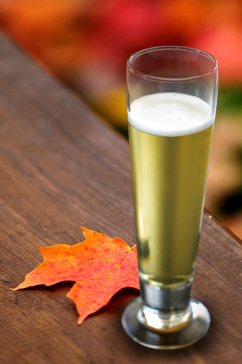 & Potts Restaurant & Brewery, to scale up his classic American pilsner. The end result was the Pro-Am, award-winning “Before Capone!” For more information on this and the silver and bronze Pro-Am recipes from GABF 2011, AHA members can instantly access the January/February 2012 issue of Zymurgy via the eZymurgy online archive! Mash in at 122°F (50°C) and hold for a 20 minutes protein rest. Raise to 144°F (62.2°C) and hold for 30 minutes, then raise temperature to 158°F (70°C) and hold for another 30 minutes. Mash out at 168°F (75.5°C) for 15 minutes and sparge. Ferment at 50°F (10°C) for two weeks with an appropriate starter. 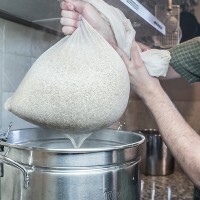 Substitute 10.5 lb (4.8 kg) pale liquid malt extract for 14 lb (6.4 kg) six-row. Mash 4.67 lb (2.12 kg) flaked corn per the recipe mash schedule in enough water to have an oatmeal-like consistency. Sparge. 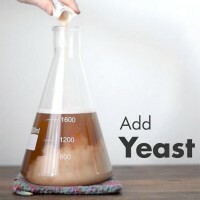 Add malt extract and full water volume, bring to a boil, and proceed with recipe as stated.